Are you new to Hisabing? 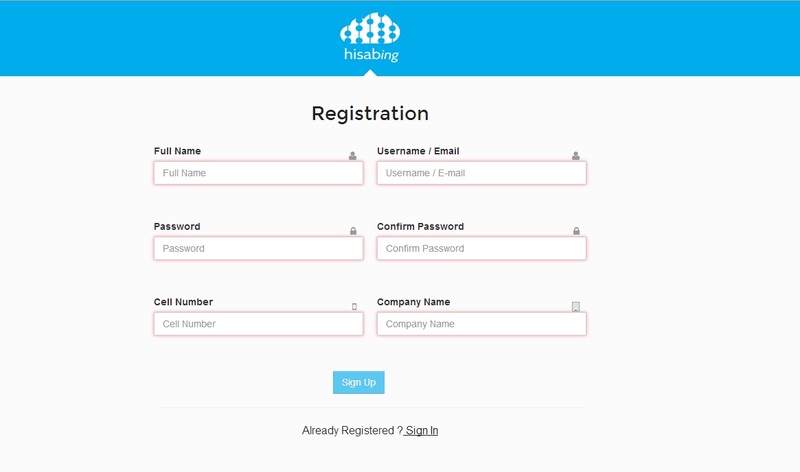 Sign Up for Hisabing.com by clicking on the green ‘Sign Up Free’ button on the top right corner of the screen and you will be directed to the following. As soon as you sign up, a confirmation mail will be sent to your mail id. The following image shows a sample of the confirmation mail. 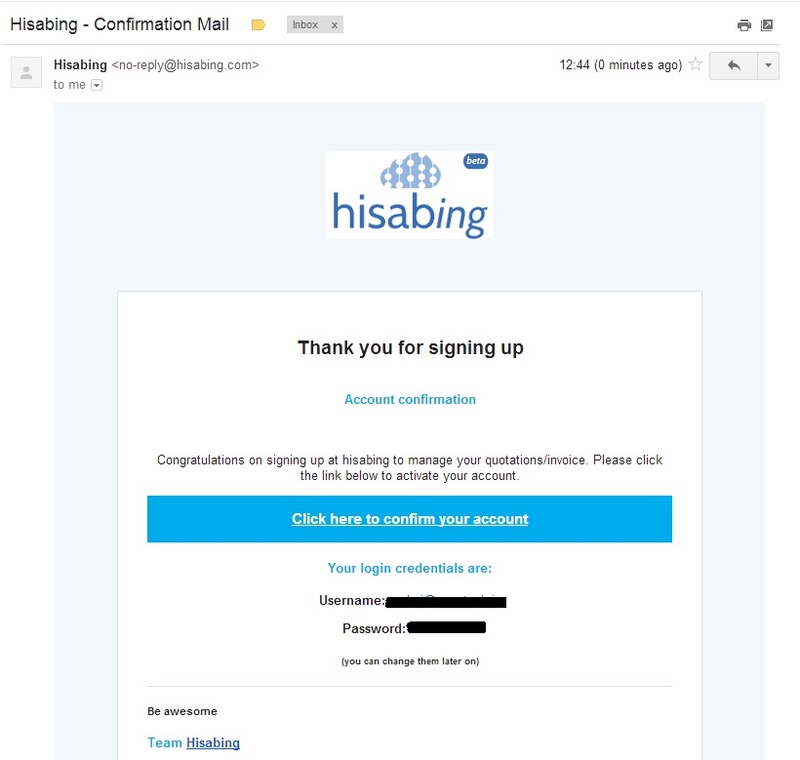 Click on the link provided in the confirmation mail to activate your Hisabing account. Your very own Hisabing account is now ready for use.